"Excellence in commercial real estate takes effort and focus. Our team works hard to achieve results through these actions." Jack is a Director and Managing Member of NAI G2 Commercial and a Certified Commercial Investment Member (CCIM). Jack earned the CCIM designation within 8-months and a portfolio value in excess of $40,000,000 in 2010. Jack’s expertise is diverse and is a product expert in Multifamily, Industrial Warehouse and Distribution Centers, and Professional & Medical Office. In addition to these asset types, Jack is versed in retail leasing and land sales due to his experience in development work. Together with his partner David Johnson, Jack has sold/leased over 20.0 million square feet of space since in the last decade and are recognized as the region’s foremost authority when it comes to commercial real estate. 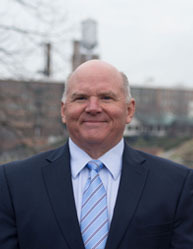 Jack has served in leadership roles with the Columbus Board of Realtors Board of Directors as a Local Director and as the Commercial Committee Chair. At the State level, Jack graduated from the GAR Leadership Academy and served on the Professional Development Committee at the Georgia Association of REALTORS (GAR), where he helped select continuing education curriculum options for members at the GAR conventions. In 2011 Jack was named to Columbus and the Valley Magazines Top 5 Under 40 – Rising Stars. 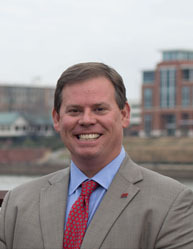 Locally Jack has served as the Chair of the Columbus Georgia Community Development Advisory Board and presently serves on the Muscogee County Board of Equalization. Jack has been actively involved in the community serving non-profits that include Bridges Academy for children with Autism spectrum disorders, Columbus Area Habitat for Humanity, the Columbus Technical College Foundation, the Alzheimer’s Association as a “Dancing Star of Columbus” and a member of St. Luke United Methodist Church. Among the clients and companies, Jack has successfully served are Southern States Bank, Wells Fargo, Synovus Trust, Piedmont Columbus Regional Healthcare, St. Francis Hosptial, LifePoint, Physicians Realty Trust, Healthcare Realty, West Georgia Eye Care, Hughston Clinic and Northstar Commercial Partners. Jack Hayes has been actively involved in the multifamily and commercial real estate industry for over the past two decades. Jack is the Asset Manager and Director of Operations for Commercial Property Management functions and is responsible for managing and supporting critical property management related applications and projects which include evaluating, improving, and maintaining operational policies and procedures. Additionally, Jack identifies, evaluates, and implements new business processes with a focus on continuous improvement. Jack actively seeks ways to find creative solutions and improvements to G2 Commercial’s products, services, and business processes, researching and providing information on technical trends and competitors’ practices. As the Asset Manager and Operations Director, Jack provides support for the strategic direction of the company’s business solutions. 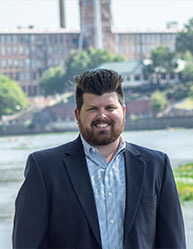 Jack has been working in real estate development since 1999 and received his bachelor’s degree in Landscape Architecture, with a focus on land planning from the University of Georgia. After graduation, Jack worked for Land Design South, Inc. in West Palm Beach and Port St. Lucie, Florida as a land planning consultant for developers and landowners where he was responsible for obtaining permits, site plan, land use and zoning approvals as well as due diligence related to site evaluation. Projects he worked on included Planned Unit, Mixed Use, Traditional Neighborhood, Commercial, Retail, Office, Industrial, Single-family, Townhome and Multifamily developments. 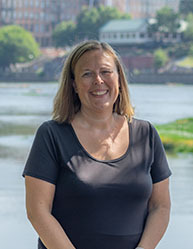 In 2005, Jack joined Flournoy Development Company for one of the nation’s largest private developers of luxury apartments as a project manager/land acquisition specialist. 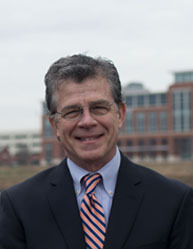 His duties included site selection and acquisition in Georgia, Florida, and Colorado as well as performing market research, pre-development due diligence, obtaining land entitlements, permitting, negotiation of utility and infrastructure reimbursements, and coordination of engineers and architects for new apartment developments. 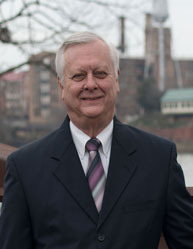 In 2009, Jack joined Jordan Hart Commercial Services as a commercial broker and independent contractor. His services include a wide range of Commercial Services including Buyer/Seller Representation, Landlord/Tenant Representation, and third-party development/construction project management. In 2011, Jack and his partner David Johnson established G2 Commercial Real Estate in partnership with Keller Williams Realty River Cities to operate and manage the KW Commercial division. Since that time, G2 Commercial has developed multiple retail centers, office buildings, and renovated several multifamily, office and retail centers.